In this post I am going to review some lovely beauty products that I have been using this month. 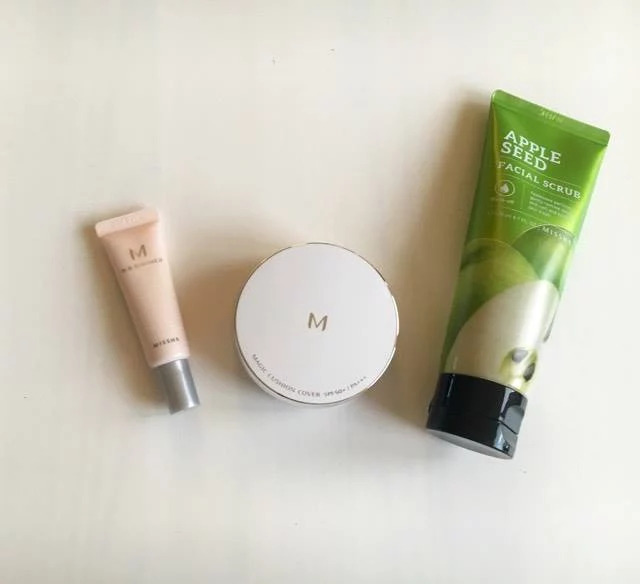 They all are from a Norwegian company called "Missha.no" , they are affordable and really nice. I have been using their "Green Apple face scrub" and I really recommend it to you, especially if you have been having bad skin, it will remove all the dead cells on your face and you will immediately feel refreshed! Though, you should be carefull when using a face scrub, if you use it more than once or twice a week it will just dry out your skin! Also, I tried two of their face masks, one with Hyaluronic Acids and one with Ceramide. 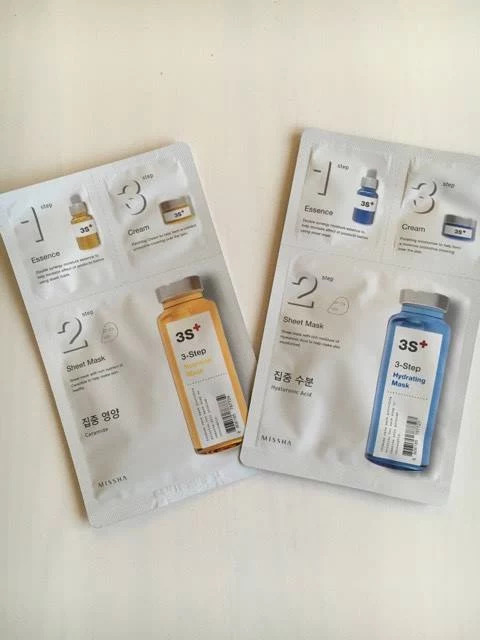 I liked both of them but I highly recommend you the one with Hyaluronic acids as it really made my skin look younger and smoother. Last but not least, I tried some of their make up products, I am really picky when it comes to make up but I have to say that their lipstick collection is really nice! I used their lipstick in DEWY ROUGE color and it really lasted for several hours without retouching it, also it didn`t make my lips feel hard and sticky. Then, I tried their BB cream and it can also be a good substitute to foundation in the summer! Today I want to talk to you about an amazing platform for influencers that I have recently discovered. It`s called "Inzpireme" and it helps influencers connect with brands to work with. You just need to create your profile and then brands will contact you for projects, really good way of connecting !